Are you advocate for sustainable transportation and willing to help others? 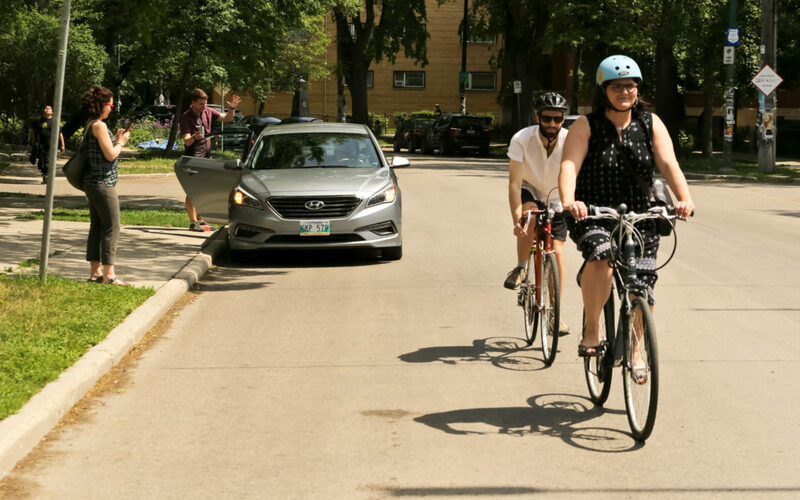 On GoManitoba you have the opportunity to identify yourself as a mentor in order to help someone bike or take public transit for the first time. 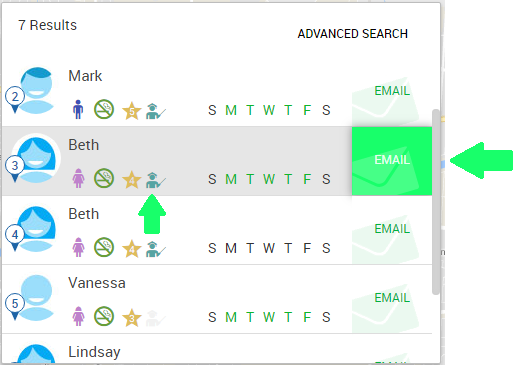 To identify as a mentor, start by logging in and accessing your commutes under “Trip Profiles” on the dashboard. Select an existing trip (or create a new one) and select the section that says “Ways to Travel”. 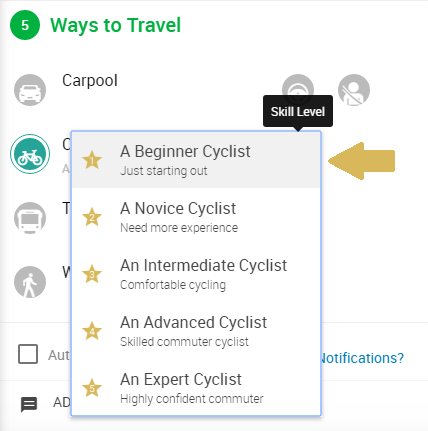 Under cycling select what skill level you are (beginner, novice, intermediate, advanced and expert) and if you are a level three or higher (intermediate-expert) you have the option to select the “Mentor” button. Similarly, you can select the “Mentor” button for transit as well. The next time someone is looking for matches and your name appears on the list they can see that you’re willing to be a mentor. Once you’ve submitted a trip you can search for matches by selecting the magnifying class on the left hand side of the screen. You’ll see a list of matches pop-up according to the forms of transportation you previously selected under “Ways to Travel”. 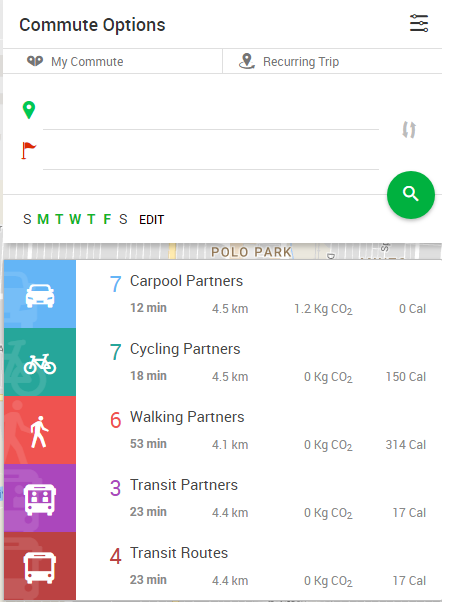 Select the mode of transportation you’re interested in and go through the list of matches to select the one that best fits your schedule, has identified themselves as a mentor, or is a low level cyclist to offer to mentor them. 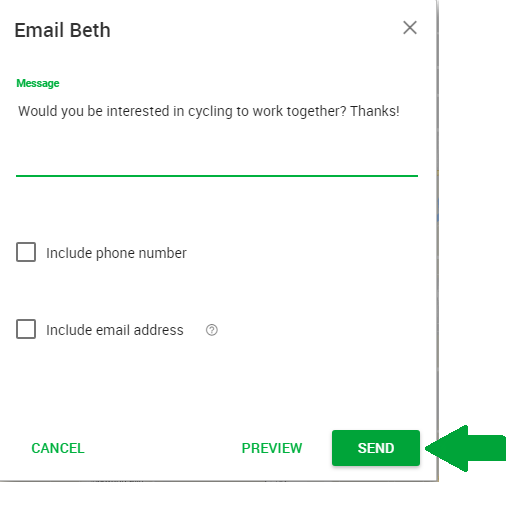 Next, select the email button to send them a message. The message will not include any of your personal information; it’s simply a mechanism to connect you with someone to organize a ride (see our blog post on safety tips for more information). Be sure to keep track of your inbox to see if any of your matches have sent you a message through the app. To access the Message Center, select the message icon on the top right of you screen. 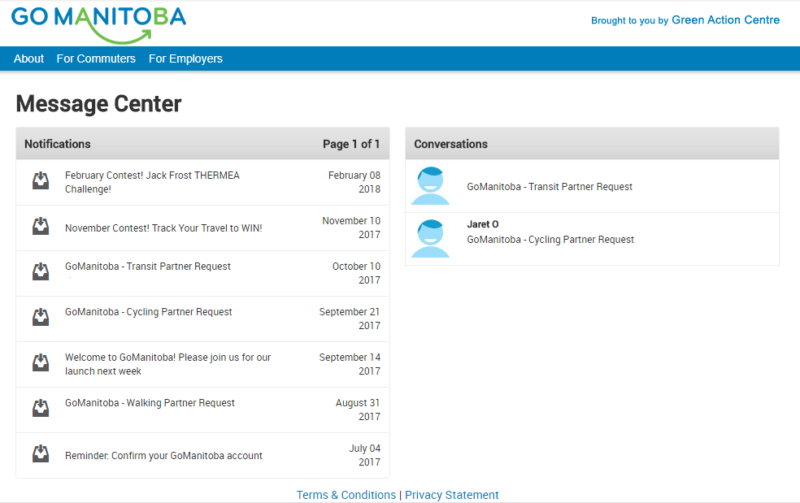 In the Message Center you will see a list of notifications from GoManitoba and any messages you’ve received.